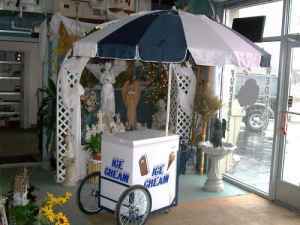 2/4/12 - 2011 complete ice cream cart with umbrella, graphics, and larger tires for easy mobility. I can assist you with shipping! Phone: 248-623-0668.